Wherever you are in your spiritual journey, God wants you to experience the joy, blessings, and peace of a growing relationship with Him. Choosing to live your life with God at the center is the most important choice you'll ever make--but what happens next? Whether you are a new Christian or a long-time believer, staying connected to God and learning more about His ways is essential to your spiritual growth. 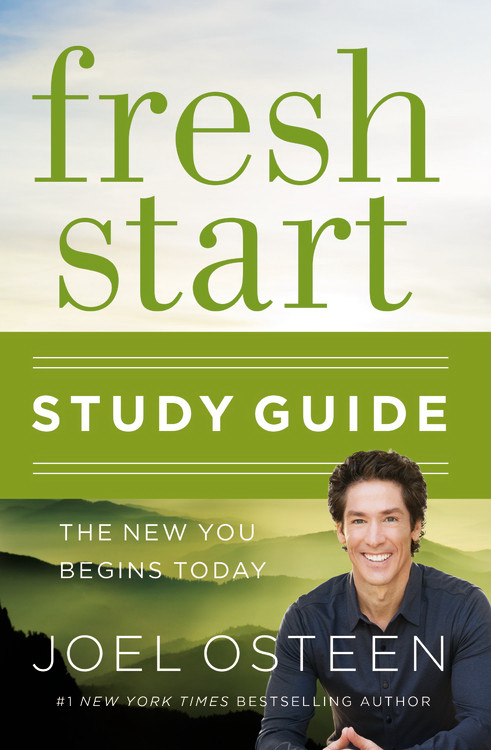 To help you put your faith into practice, bestselling author Joel Osteen presents an interactive companion to his book FRESH START. Prepared for both individual and group use, this study guide is filled with practical tools for growing your relationship with God, learning to trust His promises for you, and spending time in His word. 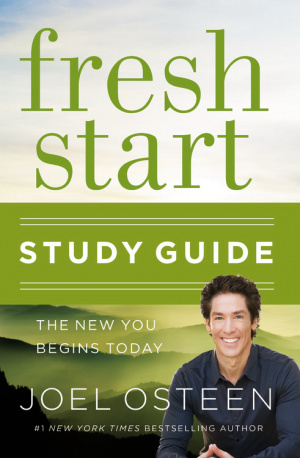 Fresh Start: The New You Begins Today by Joel Osteen was published by Faithwords in December 2015. The ISBN for Fresh Start: The New You Begins Today is 9781455538164. Be the first to review Fresh Start: The New You Begins Today! Got a question? No problem! Just click here to ask us about Fresh Start: The New You Begins Today.